We love finding new, interesting ways to grow passionate readers, so that’s why when we discovered Amazon Rapids, a new reading app that just launched today, we were very intrigued. 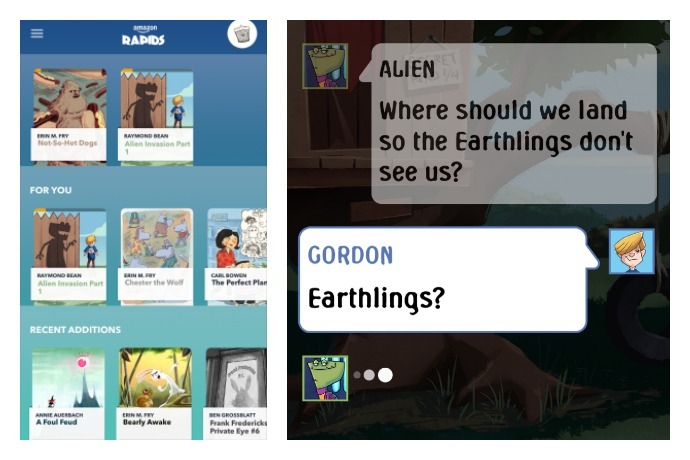 Because unlike other reading apps for kids you’ve seen (and we’ve featured here on Cool Mom Tech), Rapids features short stories in a chat-style. Hello, 2016. It’s definitely a meet-kids-where-they-are approach to reading, and while admittedly it makes me a little dizzy trying to follow along, I have no doubt that my kids, and maybe yours, will love it. Once you’re in the app, you’ll be prompted to create a profile for each of your kids, where you enter their age and their interests (animals, adventure, sports, funny – you get the idea), and choose an avatar. You’ll get stories recommended at the top, followed by recent additions, as well as good reads in other categories as well. And I’m not kidding when I say the stories read like text messages. There’s an avatar and a speech bubble with words, and your child taps to see the next line of the story, with words and illustrations interspersed. Yes, there are even the typing dots we all dread (or get excited over) when we use iMessage. It’s like graphic novels meet texting. Kinda cool. Kinda bizarre. 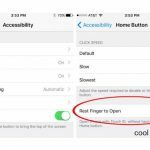 Parents will appreciate that kids can hold their finger on a word that they don’t know and a definition will pop up, with the option for them to hear it as well. While the app is free, you’ll need to pay the $2.99/month subscription fee to get access to all the stories. However, if you sign up right now, you can get a free 7-day trial, with a discounted rate if you sign up for a year (rather than monthly). And your kids obviously need a gadget of some kind to use the app. It’s certainly not for everyone. It pretty much drove me crazy after a few messages. Er, lines. But, it’s aimed at kids, not a 40-something mom, and that’s very clear. 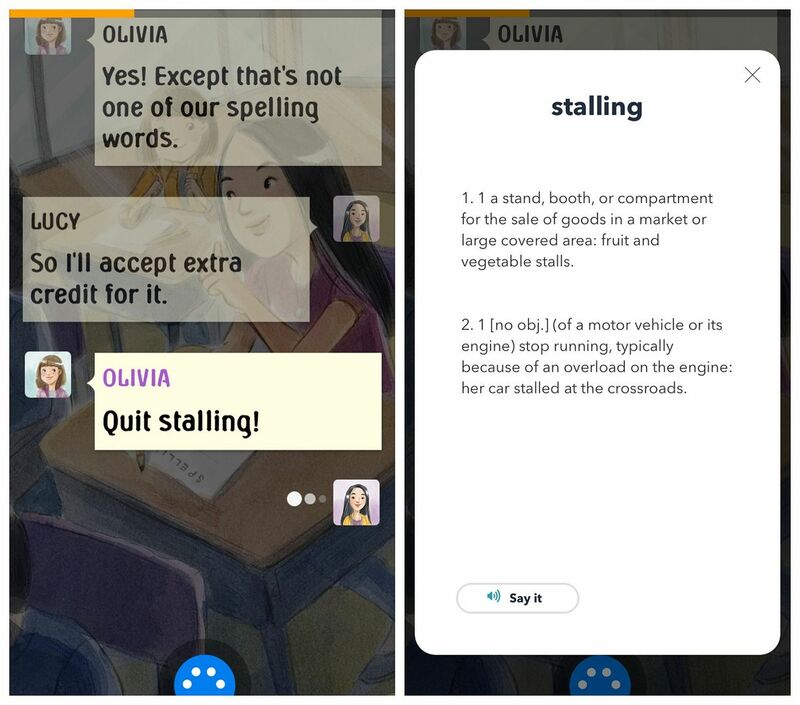 It really captures how kids interact these days, not just with each other but on other apps as well. And if you’re struggling to get your kids to read, or you want to offer them an alternative to what they might already have on their e-reader or tablet, this is quite a fascinating option. And one that’s pretty affordable, too. One of the coolest chat app for kids. Absolutely great! PLEASE BOYCOTT THIS APP. Jeff Bezos, now the worlds richest man, took advantage of so many writers to create Amazon Rapids.